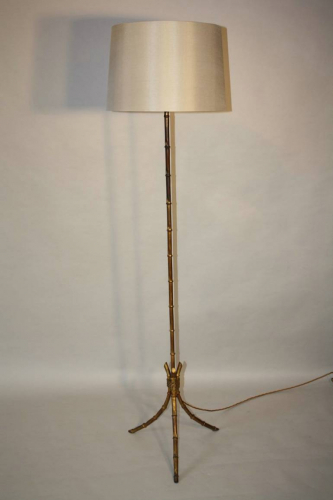 An elegant gold and red metal bamboo floor light. French c1970. Rewired and PAT tested for UK use.